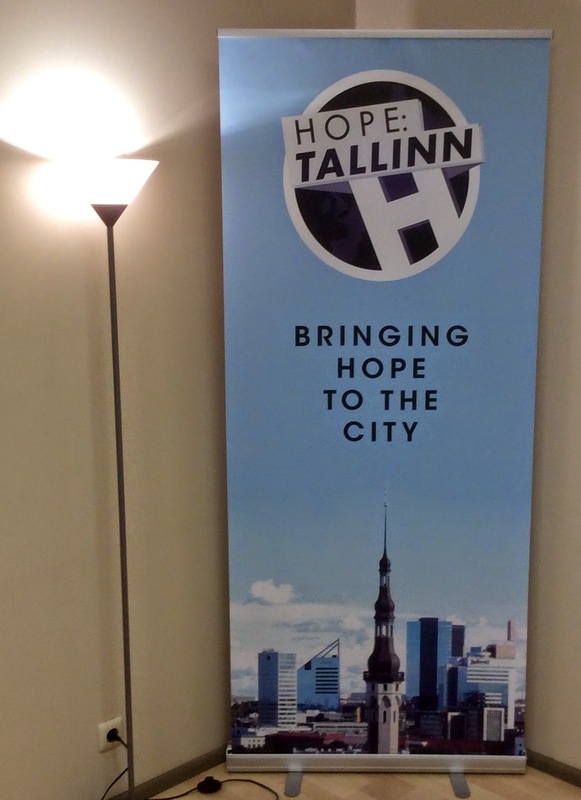 Hearing My Heart: Spring News from Tallinn! It's time we updated you on a rather interesting few months. Well over three months ago (a now growing habit of blogging less and less) we updated you with all that had taken place since the summer. You can remind yourself of that news here if you like. Many of the things I talked about then have continued on the same path, whilst for some things totally new possibilities have opened, as you'll read about below. What ever snow there was, it certainly had to be appreciated! 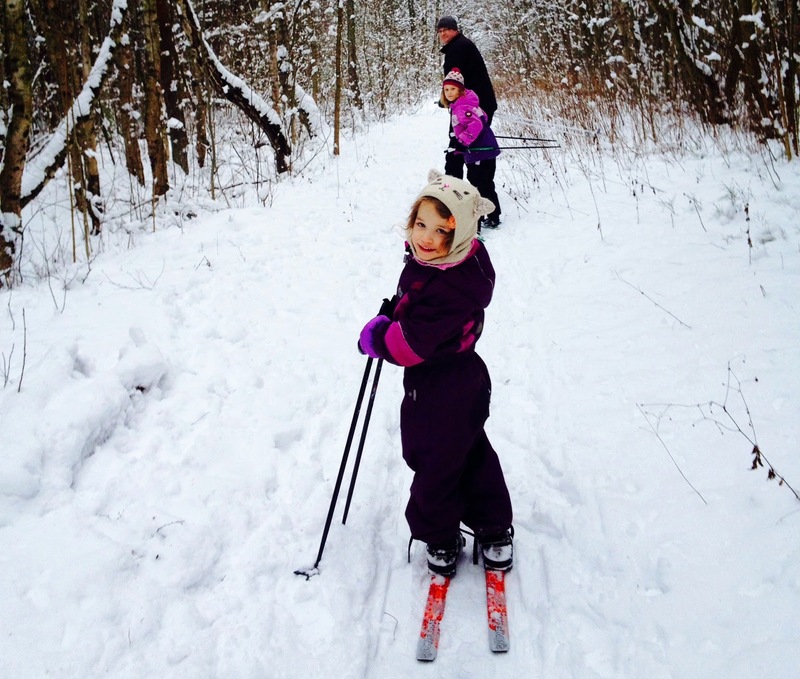 We actually only got out skiing in December, this photo taken not far from our home. We were in Tallinn over the holiday, though did manage a couple of nights away once Rachel had finished at the school and the girls had broken up, literally picking Anya up from kindergarten (as I recall now writing this) and going away to the west of Estonia. It snowed whilst we were away, allowing us to arrive home on the 23rd December to an even whiter Tallinn and thankfully White Christmas. That snow was basically gone by the first week of January, though did return a bit as the next picture shows, which I'll get to in just a moment. New Year's Eve is fun in this part of the world, a much 'bigger' deal than we ever saw in the UK. In Russia, it was their main event in the year, and that tradition lives on in Estonia, though gifts are given on 24th December for Christmas, that being the only real difference to New Year in Russia (though Russian background people here also give their gifts only at New Year). Rachel's mum and dad were over with us for this period too. One of the huge divides we notice that show up in Estonia between the two ethnic groups happens on New Year's Eve. We noticed it last year which was a surprise and then this year, maybe more aware of it, it really struck us as unusual. It goes like this. As eleven o'clock comes around that night (yes, one hour before midnight) the skies around our home light with fireworks. Just north of our home in a large Russian area - and from our window we see multiple displays all going on. Whilst there are 'main' displays that take place, most are people buying their own fireworks and having their own party. That's what happened on our street at midnight proper, the field in front of us becoming a shared public display, something we too joined in this year, even with our own box of fireworks. It was amazing to meet so many neighbours, in a country so often silent with strangers, we were able to celebrate with the locals. But why the two time slots? Well, eleven in Tallinn is midnight in Moscow - the Russian background people let off their fireworks once Putin's speech is finished and New Year has hit the Russian nation. The fireworks are most vocal at midnight, though only a little more so. And it's not people just travelling to Estonia for the holiday (though that was true of Rachel's folks, who weren't going to wait until 2am to celebrate New Year), this is people living in Estonia permanently. A few days after this, we got to meet some neighbours again, inviting them over for mulled wine and English (homemade!) mince pies. Seven households came in total, including everyone from the small handful last year. It seems to be growing! It was great for us to meet some more people. Two couples came from our floor, including our next door neighbours (there are five flats on our floor). These were both young Estonian couples and it was clear they hadn't ever properly met each other before. They obviously enjoyed the opportunity to speak to each other longer. Fascinating, that it would take us to bring even Estonians living in the same building together! And then maybe a week after that it snowed heavily for a day. 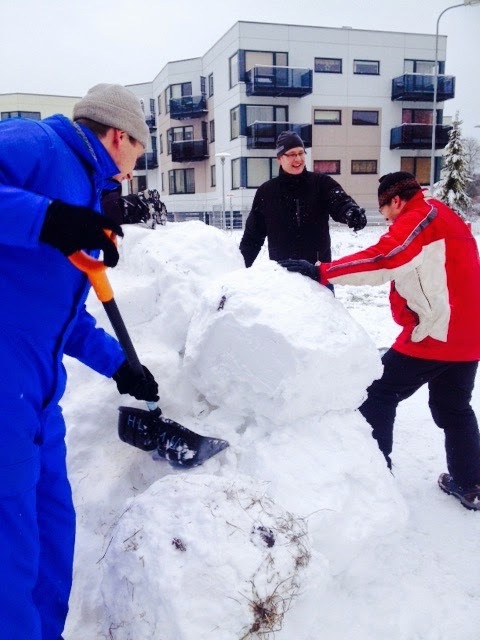 I spotted someone rolling a huge snowball, clearing snow from the parking area. He's the guy in the red jacket in the picture. He was out with his two boys and they'd all been to our house for the mince pies. I offered to help him as the snow ball was as much as he could move on his own by this stage and in the middle of the car park! We managed to get it across onto the field, by which time it was as big as the both of us could manage. He turned to me and asked "What should we do with it?" to which I mused: "Build an ice slide?" Two hours later, with two other families (men, women and kids!) joining in, the community project was taking shape! Another fab way of connecting with people, and lots of fun together! All the kids would take turns on the slide, and while it never got to being sheet ice as I had planned (we'd seen this once in northern Finland and it was really cool!) it was the last piece of snow to melt, staying for weeks on the field as the compressed ice refused to melt, even after the field was totally clear of all other snow. While it has been a season of illness and battle (spiritual often), we've continued to make time for family as much as we can. Over the Christmas holiday it was my pleasure to take each child out on their special 'Daddy Date' which we do at this time of year. They buy a new dress before, Rachel helps them dress up and then we go and do something (their choice) and have food together after. It was Anya's first time. It's my honour as their dad to show them how they should be treated, to spend time getting to know them and strengthen that already strong bond, whilst creating fun memories. I love being the father to these two amazing little ladies. Whilst church planting is a focus and something we've given ourselves wholeheartedly to these last seven years, it can never be at the expense of this wonderful family God has placed me into. My role as husband and then father has to come before that of church leader. With Anya, we worked together on making this wonderful (and tasty!) marzipan Christmas tree. 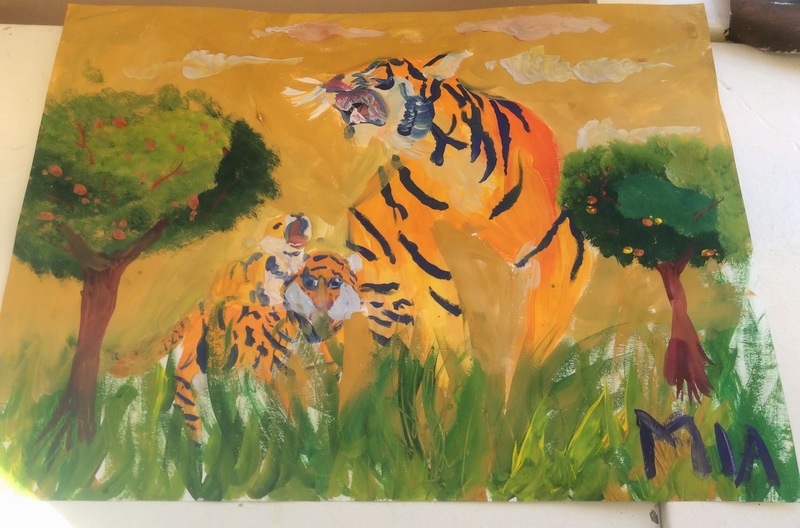 This year, the girls have also let their creativity flow as part of an art class that they joined on Saturday's from February. 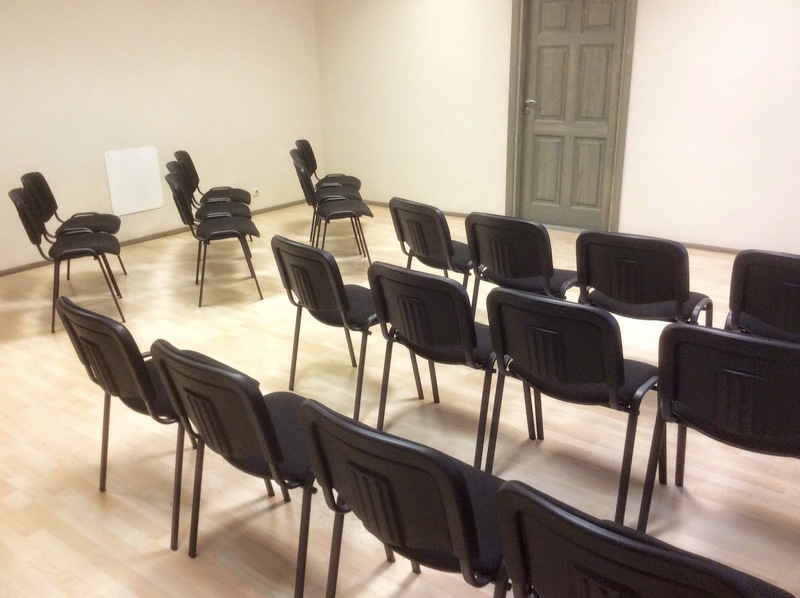 They did this class weekly for the first month but now they go every fortnight, so that we have some time as a family. On the right is just one example of the kind of art work they are able to produce with the help of the Russian artists who run the group. For those who have not seen the growing collection, you can view them here, which will take you to the Facebook album I add the latest works to. 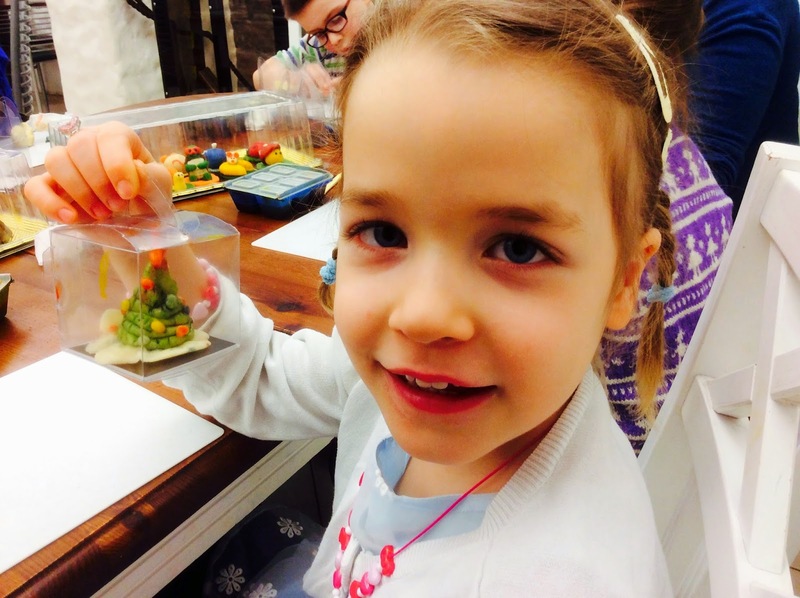 At the beginning of this month, Anya turned five. 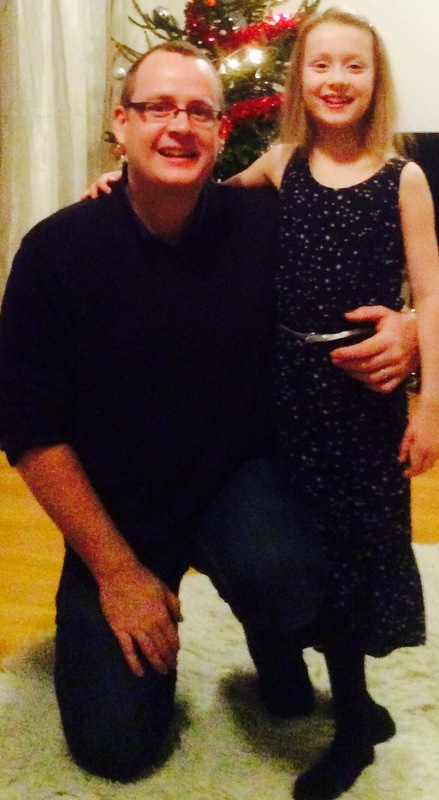 It was also three years since we moved to Tallinn, having moved four days before her second birthday. Parties are generally done in play areas in Tallinn, so this is what Anya wanted, and she invited about half a dozen children from her kindergarten class to the event happening at the play area in a nearby shopping centre. The only alarming thing (literally) was mid way through the party, the fire alarm sounded in the shopping centre and everyone had to evacuate. The children were in tears! Thankfully it was nothing serious and we were back in about thirty minutes later no worse for ware. Last time I also mentioned this aspect of my life and 2015 so far has been a big step along in my writing career, with my second novel being released on 16th January and then in February, for the first time, I hosted a book launch party in Tallinn to celebrate. 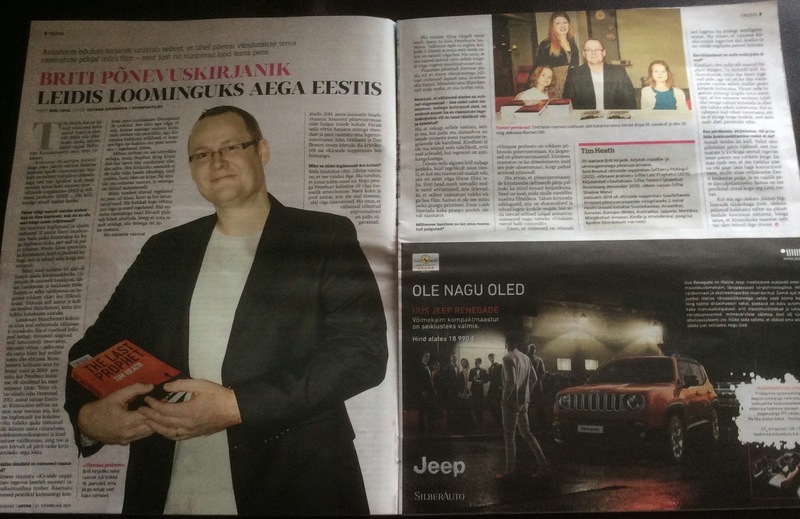 Following on from that, one of the main newspapers in Estonia asked me to give an interview for their weekend edition, which was a great joy. The photo shows the double page spread, even if the picture of me holding the book as if it was a baby (taken for fun at the book launch event) wasn't necessarily the one I thought they'd use! The article is in Estonian, though was also translated into English (from what the reporter wrote, not what I actually said in the first place) for their online version, a link to which is here. Following this was another first for me. 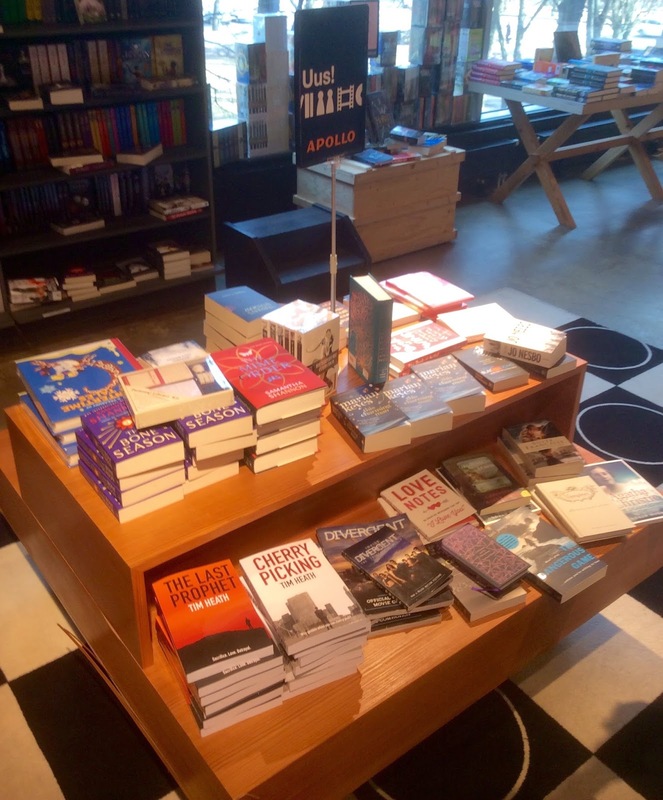 The main book store chain in Estonia, Apollo, started stocking both books in March. It was surreal seeing them in the 'Uus' section (which means 'New') though the price they've set is so high I wonder if they'll sell any. They've already purchased the books from me, so in that regards it doesn't really matter, but if I'm to grow a local readership in Estonia (beyond the friends I know here who have bought the book from me) then the overly high price is not a good thing. All these things being said, even with my Twitter following going through the 11,700 mark (its was just through the 5,000 last update! ), I've a long way to go. Launch figures were okay, though not extravagant. The book didn't chart as high as I'd hoped and without advertising, isn't selling copies at the moment. The initial buzz has therefore soon passed. Whilst the reviews that have been coming in are already excellent (see here for details of these) it seems any major breakthrough is still a long long way off. If you have any ideas, any invitations for book parties, anything really that you'd like to run past me, please drop me a note. It's my dream that writing becomes my paid vocation, supporting all that we do here in Estonia, whilst opening doors of opportunity. I've seen God's hand with me but need more of that, as well as people recommending me to others, and those that have read the books already remembering to review them. Reviews really do help other readers to make a purchase! I've also not forgotten about these Christian book ideas I asked you about last time, and am thankful for the few that gave me some feedback. It might be a project for this summer. All of this is part of a need to see more finance coming in, making up for a drop in support that has happened over the last year. I might pick up on this theme a little later. Rachel hosted a baby shower for Elisabeth, whose baby is actually being delivered tomorrow (Monday 30th March!). The shower was a great success, people travelling from across Estonia to join Elisabeth. Since finding out they were pregnant, it has been a terrible nine months for Arnoud & Elisabeth in many ways, health for Elisabeth at an all time low, totally taken out by the pregnancy and other related health issues. For Arnoud it's meant running the home as well as his full time job. It also had a knock on effect with church, in a season of pushing for something, that 'next step', this key family were needing to take a step back. Please pray for them as the baby is delivered through C-Section tomorrow nearby. Pray also for the recovery, and the healing of everything that has happened to them these last nine months. Whilst we know it'll take at least the summer to adjust back to things, plus they will have the new baby, we trust the worst is now behind them. Sherron Fensome is still planning on moving to Tallinn, aiming for the first Monday in May. Please also pray for her over this next month, for her transition (she's finishing work this coming week!) to her arrival. Rachel is looking into possible housing options, already visiting one. Also keep a job in your prayers for her. 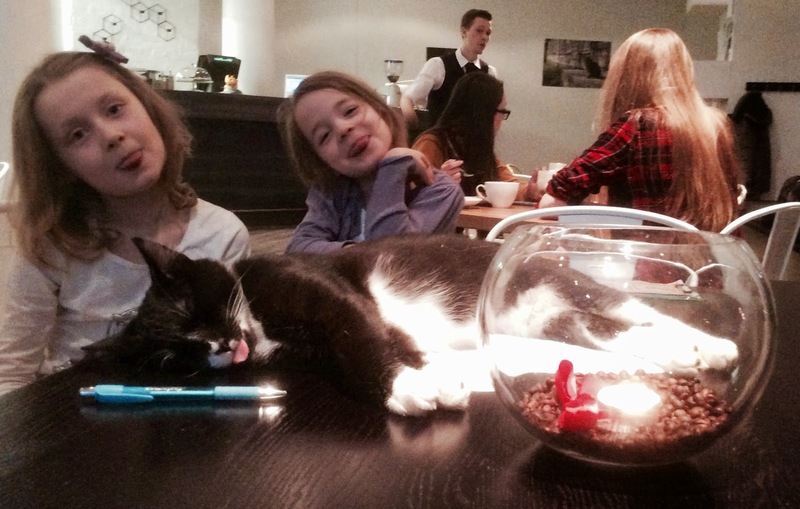 Sherron does love cats, so a recent visit to a newly opened 'cat cafe' in Tallinn might be the purr-fect (sorry!) thing for Sherron. The cafe has six cats, though the friendliest of them all gravitated to our table right away, the girls doing their best to copy its expression in this photo. This update has been largely lite and newsy so far, probably because I knew I needed to write this next section. In the last update I shared how things were tough, how the New Year gave chance for fresh vision, because what we had been doing in the Autumn hadn't grown things the way we thought, and energy had dropped. Obviously the (temporary) loss of Arnoud and Elisabeth at such a time, as detailed above, did have an effect on our ability as a group to press on. I personally felt more alone as the season pressed on. The New Year brought a prayer focus, and obvious need to fall on God to grow this church plant, our efforts (and our energies!) failing. So January started with us meeting to pray every Sunday for an hour followed by a drink in a cafe. Back on that first Sunday on 4th January, we actually had more visitors than core present, five were over from St Petersburg and another locally based German man came along as well. It was Stephen & Ketlin's last weekend with us before they flew to America to spend eight months - they come back in August. On that first Sunday, a family of five (Canadian) were there for the first time. They've come back once too, looking for a local church. Whilst what we are currently doing doesn't meet their immediate needs, they have said if we were to launch this Autumn, they'd look to join us then. My first conversation with Arnoud once he'd come back from their three week break in The Netherlands over Christmas, was telling. Clearly the time away had given them time to talk to others, getting things off their chest, even if the sickness was still with Elisabeth. And as we spoke that day, something we both needed to answer was this - how long do we keep going as we are until we call it a day? At what point does this stop becoming a church plant heading for launch and just a group of burnt out people? What formed in my head that day was the need for a stake in the ground, a timing we are working towards that either confirms God's call or makes us ask some tough questions. For me, October felt the right kind of time for a launch. We push hard this year, praying into and building towards a launch Sunday in the Autumn. Now, the speed of the venue coming around seemed to encourage us in that regard. Clearly, if we were to launch we'd need a venue, and suddenly we had one. A place that we could use throughout the week, the fortnightly toddler group instantly growing in numbers the first week it moved to our new venue - the mums seem to really like it! I guess, mirroring Elisabeth's own sickness as she approaches the new birth, we've felt this same struggle spiritually as we've pressed through these last months. Energy levels dropping, vision for what is happening taking a hammering. Bouts of sudden sickness falling upon us, often the night before a special church gathering. These stopped once we started asking people to pray for us on Saturday's. It's led me to ask (constantly) of God - can we do this? And if I'm honest, I often followed this with the question; And do I want to do this anymore? By January, finance once again became a problem, a long standing church in the UK announcing they'd stop later this year, a figure that represents about 40% of the total support we now receive, support which makes up (thankfully) about a third of our current income. Nothing was running as smoothly as before. We were doing all the right things outwardly, but something was suffering inside. I felt my walk with God was also struggling. I was too busy trying to fix our situation to spend the time I wanted (and needed!) in the word! Crazy, I know. And then the realisation - carry on as we are, and we are heading for burnout. In many ways, it's great that we recognised this, as one spots a potential danger far enough ahead to avoid a collision. You see, whilst this current season has been challenging, by itself it's not outstripped all that's gone before. It's just followed on from it all. For us, it's the awareness that the last seven years have caught up with us, that it's not just about the last nine months, nor even the three years we've now been in Tallinn for, but actually going back seven years plus, from the transition in Stockport where I stepped down from leadership to focus on the move, to landing in Russia (spiritually exhausted) then the church plant there, before moving on again and all this time in Tallinn since. The thought that we were praying into an October launch given our situation, made no sense. We didn't have enough energy to get us through to the summer, let alone beyond that. Something needs to change. We need space. We've now talked this through with everyone here, plus Sherron (so she is fully aware what she is arriving into). We still have faith for an October launch, which has grown this last week, as you'll see in a moment. But for that to happen, we need a time of rest as a family. Spiritually to lay down the cloak of leadership responsibility, for a season, in order to hear from God and come back stronger and more envisioned, especially ahead of an Autumn push. So what this looks like is this summer, once Rachel finishes for the summer at the school (mid June) we'll take three months 'break'. It's not a sabbatical, as I'm not full-time for the church. I'll still have my U.K job and writing, but it's more the leadership responsibility for this season we'll lay down. We're talking this through with the team about what this will look like. We'll certainly be around socially for things, especially meeting any new people that turn up, but won't take the reigns back properly until mid-September, ready for that push. We'll do it in such a way as to recover ourselves whilst not hampering in any way the small core we have and our ability to push hard this Autumn. Summer is always a very social time, plus a time people arrive in Tallinn from overseas, maybe moving for a new job or to study something at University. So we will make sure we don't lose any opportunity whilst also reflecting our need to recharge. Please pray for us as a family during this time and also for the church plant. One amazing thing that came out of this last week and in relation to the summer was one visitor seeing the need for us to get some sunshine and time away offering us use of a holiday property, only for someone else to say they'll cover the flights for us all to get there! We're very grateful to them, God is so good! Give Us Six People Lord! Last week was a good week for outside input - first a Skype call with Adam Bradley (Life Church - Peterborough) and then Maurice Nightingale was in Tallinn for a day on Thursday. Both were aware of the financial situation as well as the fragile state of things (I'd sent them an urgent plea for wisdom the week before in relation to another situation they both helped with). But as I prepared for these times, the more I thought about what we needed, the more I was led to my hearts core cry - for people! Finance tends to sort itself out - any short-term help offered only delays the issue anyway - and venues and things like that do help, but without the people we are stranded. Then it came to me. Six people added to our core team (even for a short 'season' to help us) would be the game changer. We should pray for six people - at six o'clock. The #SixatSix hash tag prayer was born! 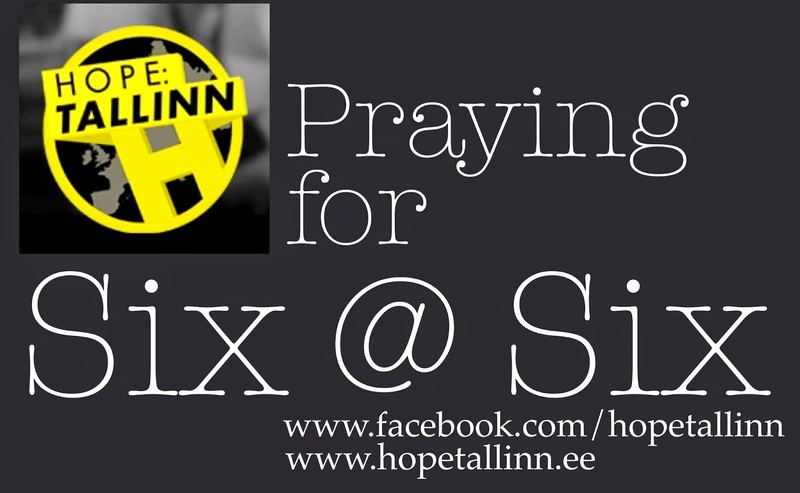 We're asking people around the world to pray for Hope:Tallinn - that six extra people would join us. Whether it's six in the morning and you are just getting up, or six in the evening and you are sitting around the dinner table (with others maybe), please say a short prayer, asking God to send us six extra people. Ideally, the six would include a couple of musicians, some with teaching ability, all with servants hearts and the ability to be relational and connect others in! Six game changers that added to this great team already would give us the wings we need to really fly. So will you pray with us? Maybe you could be part of that answer - giving even six months (October - March) this Autumn could be an amazing time for us all. What was great about this timely visit, was that it's come at what now seems to be the end of this challenging time, and has given us hope and a road map for what this next year could become. It's allowed us to talk through the issues and have someone help with the solution. And he might even have the first of these six game changers in mind....watch this space on that one! We'll focus especially for this next year - building up this October for a launch (hopefully) and stepping into the next stage of things. Come next Easter (2016) it'll give us a fair understanding on what is happening - it's either on wards and upwards, or something else! To finish, I'll ask for prayer for us as the team (probably just four of us!) 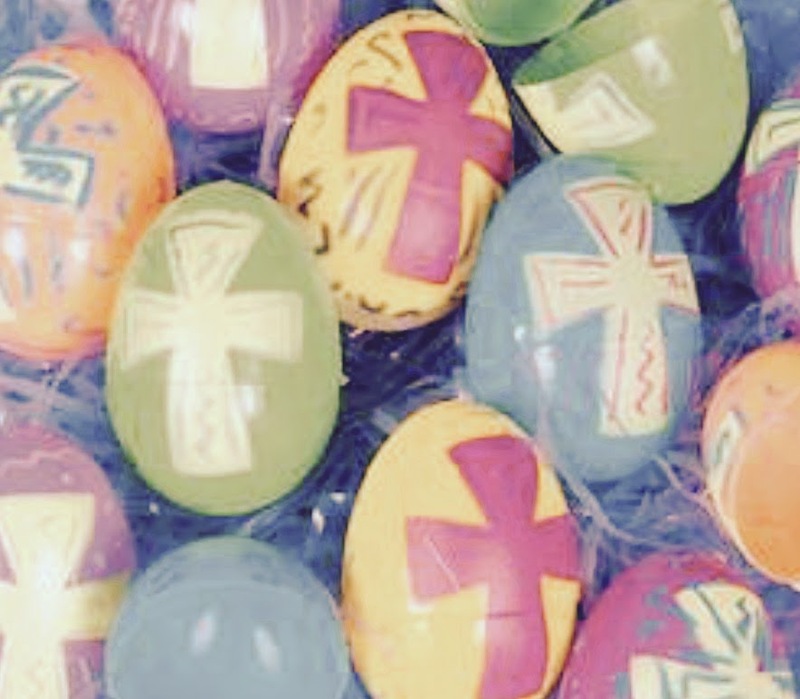 host an Easter Family Fun event next Sunday on Easter Day. We did something similar last year and it was a real success. Now that we have our own venue to use, we really pray the message of Easter rings true for many who come, as well as being a fun time for all. We're doing this event between 4-6 Tallinn time, so depending on where you are reading this from, please do remember us in prayer on that day. We really want to be able to serve these families well, whilst sharing with them the real message behind this special day. For baby Bakhuisen being born tomorrow! For Sherron's move to Tallinn in early May.